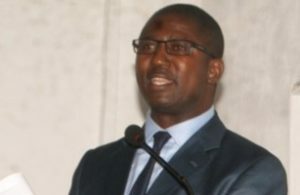 Executive Director of Institute for Governance Reforms (IGR), Andrew Lavali, has stated that a survey conducted by the organisation on the ongoing Commissions of Inquiry (COI) showed promising signs of citizens’ willingness to unite across multiple registers of political, ethnic and regional differences to embrace it as instruments for laying a solid foundation for accountable governance and national transformation. “Interlocutors in all key informant interviews agreed on the view that if implemented fairly and transparently, the COI offers a new approach for Sierra Leone’s political parties to hold each other to account and help the country moves democratic accountability beyond the ballot box. It also could help establish a standard for holding current and future administrations to account,” he said. While presenting the survey report to journalists at the IGR office yesterday in Freetown, he noted that while a majority of respondents across both surveyed districts and Freetown largely expressed support for the COI, supporters from the opposition party were more likely to view the COI critically and express concerns about a lack of fairness and targeting of the party. “The administration must ensure that these fears are allayed through guaranteeing that all those suspected of corruption are investigated irrespective of ethnic group and/or party, and that those found guilty are held accountable without favouritism to anyone. The process must also be seen as inclusive and fair, drawing on collaboratively agreed on rules, with COI members that are perceived as legitimate and above board. This will help all parties to have collective ownership of the process and accept the results,” he said. He added that critics of the COI maintained the view that its scope was too broad and that any attempt to investigate corruption under the last administration in great depth will embroil the current administration in protracted wrangling, with opposition actors and distracts attention from delivery of essential services. He said the survey revealed that former President Ernest Bai Koroma’s administration inherited a debt-free economy in 2007, following a $1.6bn debt relief package by the IMF and the World Bank in 2006. The Executive Director said under the leadership of President Koroma-between 2007 to 2018), the country enjoyed an unprecedented boom in mineral resource wealth, with the opening of two large iron ore mines and an increase in the price of rutile. He said Sierra Leone was among the four largest rutile producers in the world and that the GDP growth increased from 15.2% in 2012 to 20.1% in 2013, making the country one of the world’s fastest growing economies. He, however, noted that the country also suffered two catastrophic events- the outbreak of the Ebola Virus Disease (2013-2014) and the deadly flash floods mudslide in August, 2017. He cited the Government Transition Team (GTT) report which claimed that the Koroma administration left behind foreign and domestic debts of approximately $3bn and high levels of poverty and unemployment. “The purpose of the current government’s establishment of the 2019 COI is to understand how Sierra Leone declined from a relatively promising economy in 2007 to a highly indebted country 11 years later, despite the increased revenues and economic prospects. Within the context of the COI and its stated objectives, this brief survey gauges the temperature of the country on the GTT Report and the COI as a legitimate mechanism to expose and address corruption. Between 6th and 8th February, 2019, IGR canvassed opinions of 1,146 citizens in three cities, one swing area (Freetown), one opposition stronghold (Makeni), and one government-controlled city (Bo Town),” he disclosed.